Peter Broida is a 1973 graduate of the New York University School of Law, where he was a John Ben Snow/Root Tilden scholar, and of Dickinson College, Carlisle, Pennsylvania (B.A. 1970). From 1973 through 1977, he was an associate attorney with law firms representing corporate commercial interests, where he was assigned to matters involving labor-management relations in the private sector and some union and pro bono civil rights litigation. From 1977 through 1980, Mr. Broida was a staff attorney and the Assistant General Counsel for Litigation at the American Federation of Government Employees. 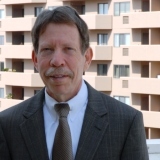 Mr. Broida returned to private practice in 1980 in law partnerships devoted to representation of employees and unions in federal sector civil service and EEO litigation. In approximately 1993, Mr. Broida became a solo practitioner, continuing representation of employees and unions in federal sector cases and also providing occasional counsel to or representation of federal agencies needing specialized counsel. Most of Mr. Broida's litigation is before the MSPB and the United States Court of Appeals for the Federal Circuit He also provides representation before EEOC, FLRA, labor arbitrators, and other federal district and circuit appellate courts. Many of his cases involve appeals from terminations of employment; others involve whistleblower and EEO or Equal Pay Act litigation. Mr. Broida writes annual editions of A Guide to Merit Systems Protection Board Law and Practice and A Guide to Federal Labor Relations Authority Law and Practice, along with other books and training materials involving civil service law. He files amicus briefs on issues of importance before the Federal Circuit and MSPB and he files rulemaking comments with MSPB and other agencies. He occasionally provides testimony or statements to congressional oversight committees concerned with civil service law revisions.